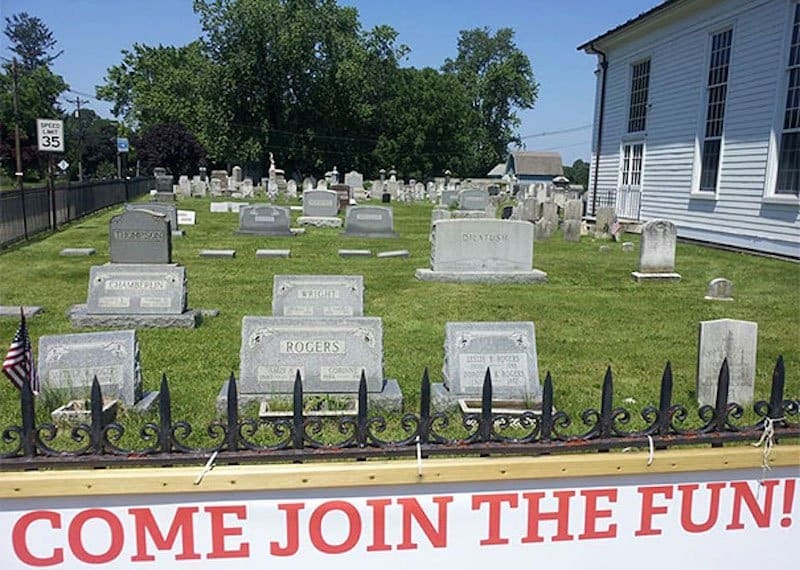 If the church you attend has something like this in front of their graveyard, you may want to consider attending a different church. 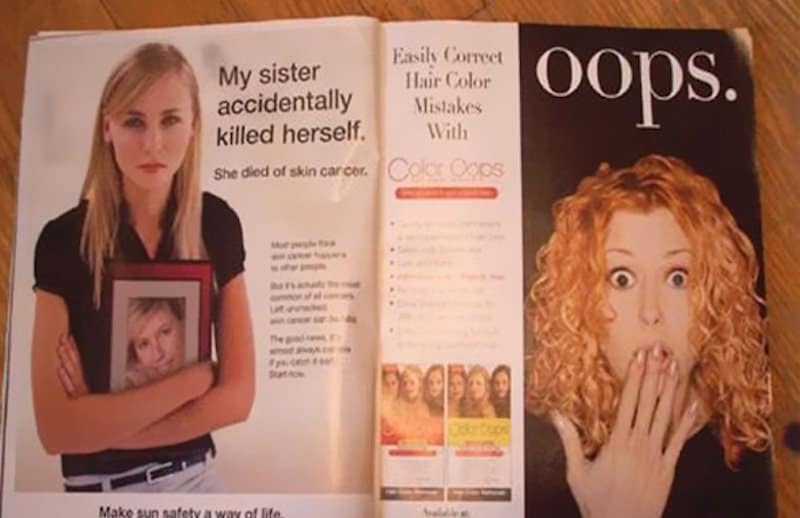 The image, text and dirt on this advertisement make it hilarious. Firstly, the image of the woman in her underwear is in the perfect spot for all of that mud on your tires to fly off. 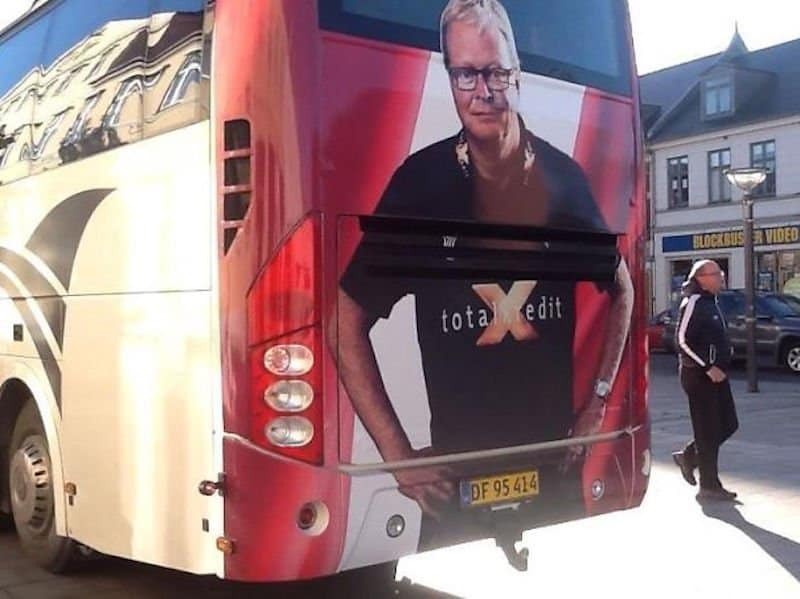 The placement of this ad right above the tow ball of the bus is hilarious, whether it was intended or not. We’re not too sure whether the worker purposely put the sticker in this location, but the resulting message is inspirational. 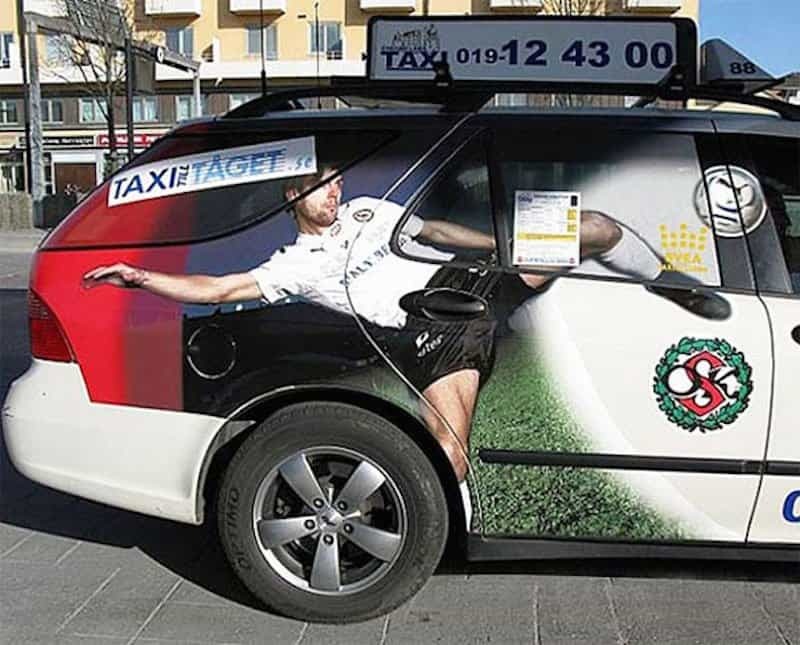 We were looking at this advert for a while, until we found out what was wrong with it. If you can’t find it, look where you’d open the back door. 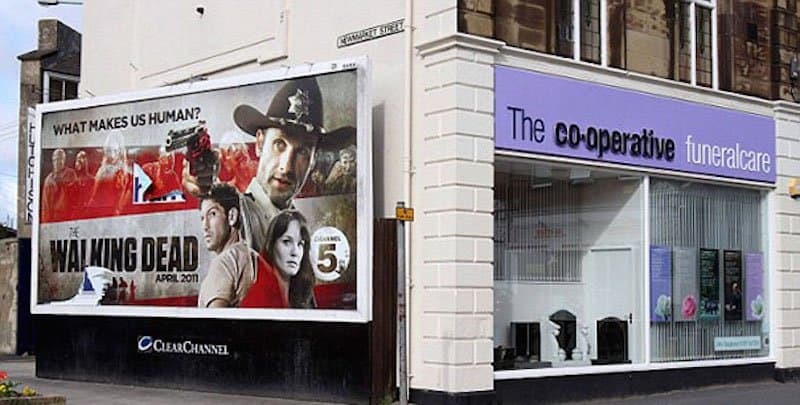 This billboard placement is perfect. 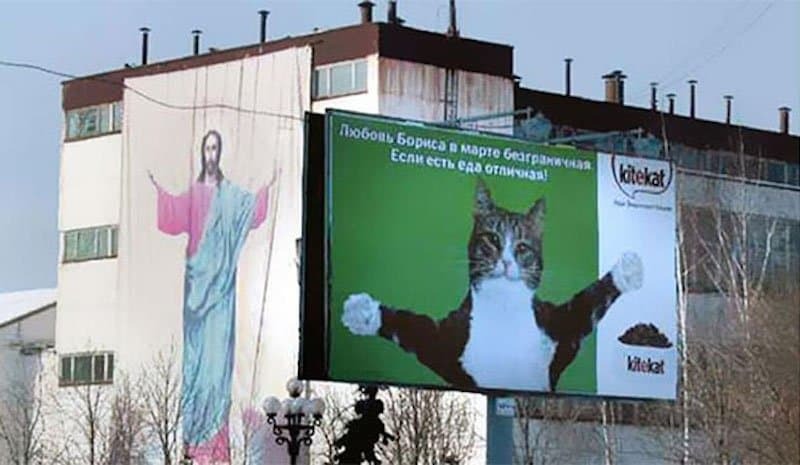 It appears as if Jesus was reincarnated into on of our furry feline companions. 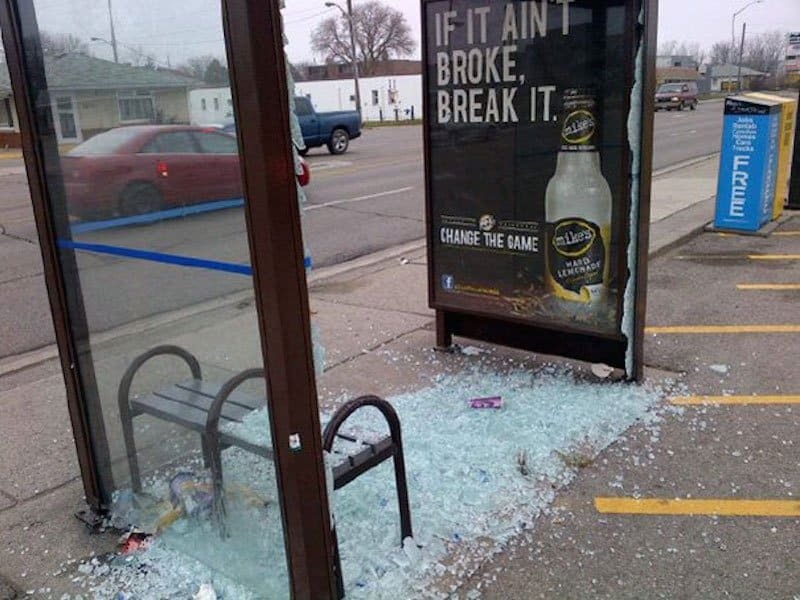 It seems as if this advert was taken literally, as the window which wasn’t previously broken, obviously is now. 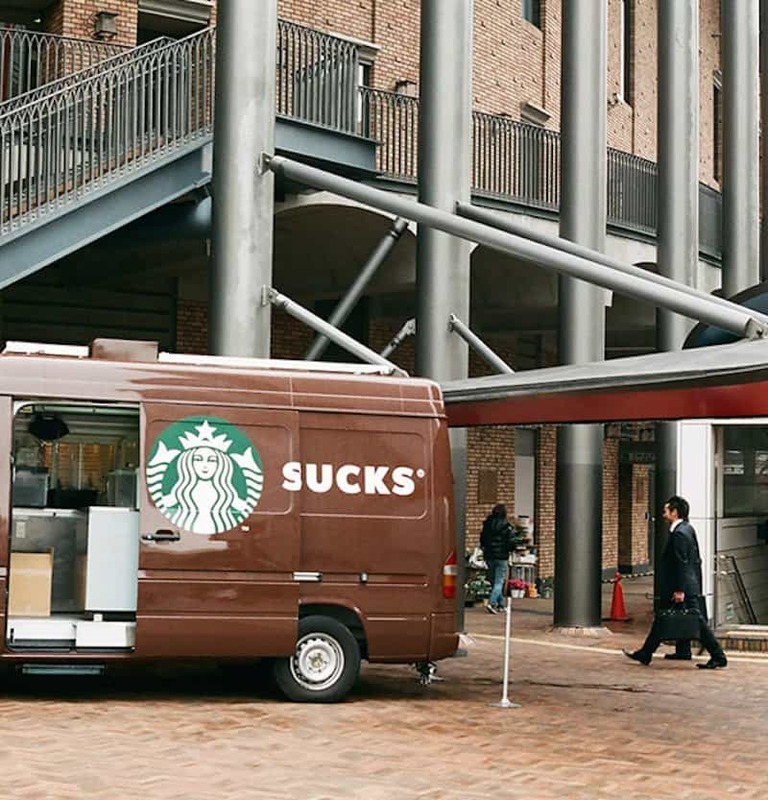 We’re just wondering whether the company who built the bus shelter could sue the advertisers. 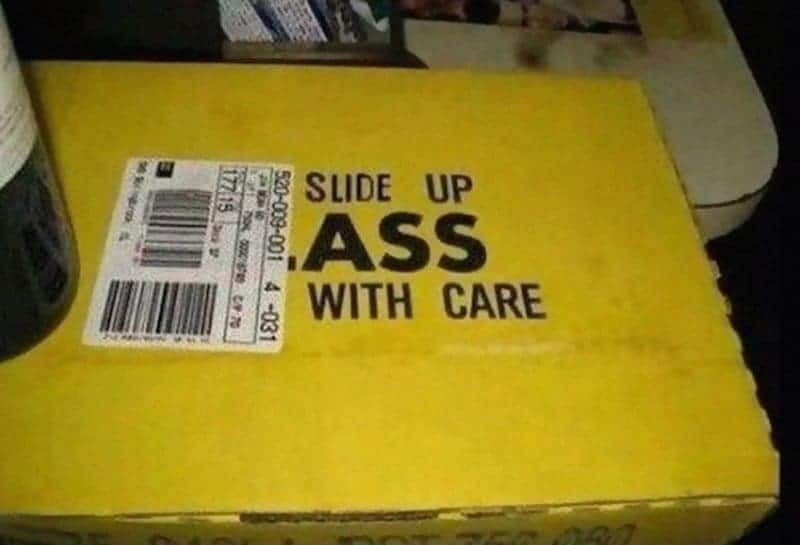 This has to be placed here on purpose. Whether it was or not, this guy is sporting some rather lavish hats, and looking good in all of them. This billboard is peeling, revealing the previous ad beneath it. What’s got us cracking up is what’s beneath the woman’s skirt. This seems to be placed in the right spot, as there’s a lot of undead on The Walking Dead, and that’s not including all of our favorite characters which have been killed off. We’re just wondering how much it’d cost for funeral care for all of the zombies. 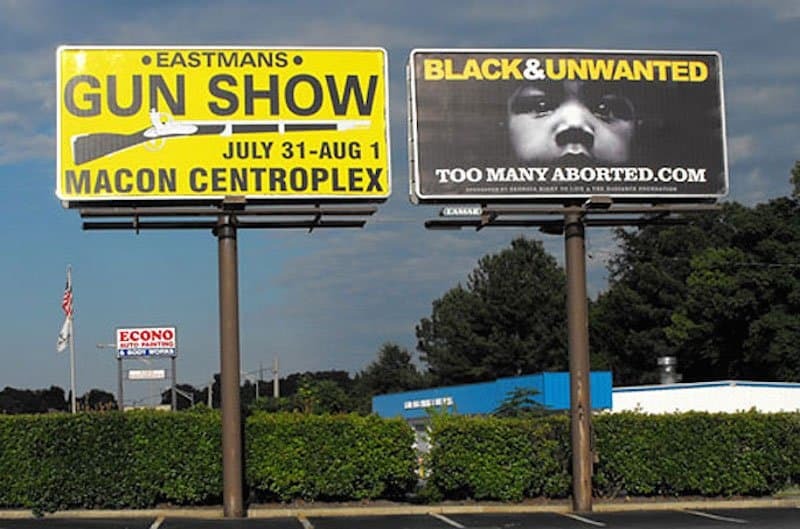 The placement of these two billboards is rather crude — funny, but crude. 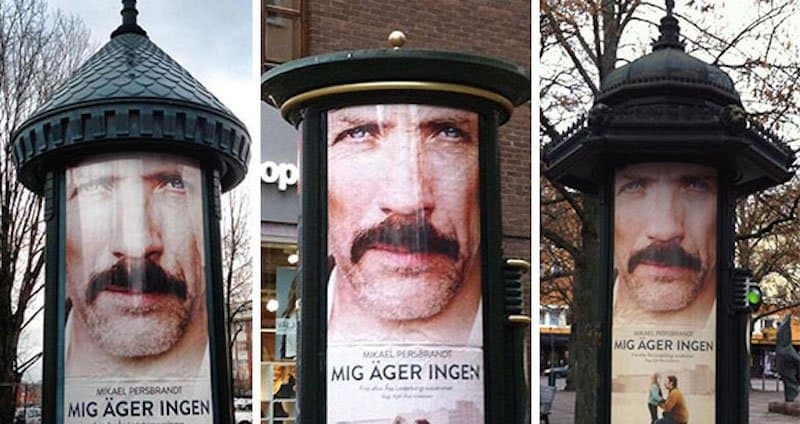 The placement of the gun and child is what has got us — maybe they should have changed the positions of the ads? Yanni has some rather luscious hair in this picture, and is sporting some pretty good underboob. 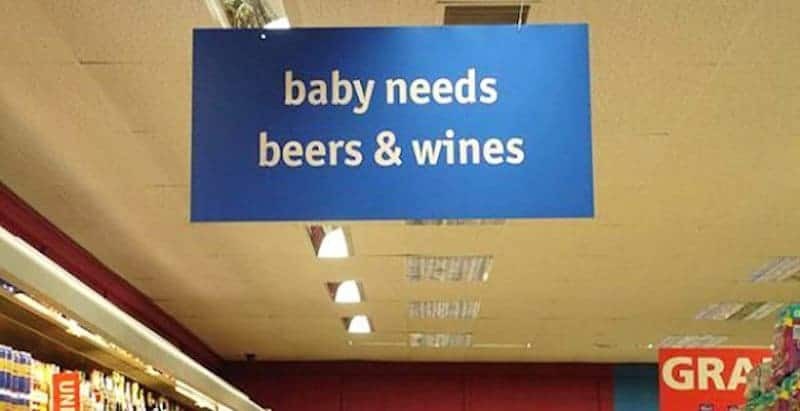 The placement of these CDs is perfect. 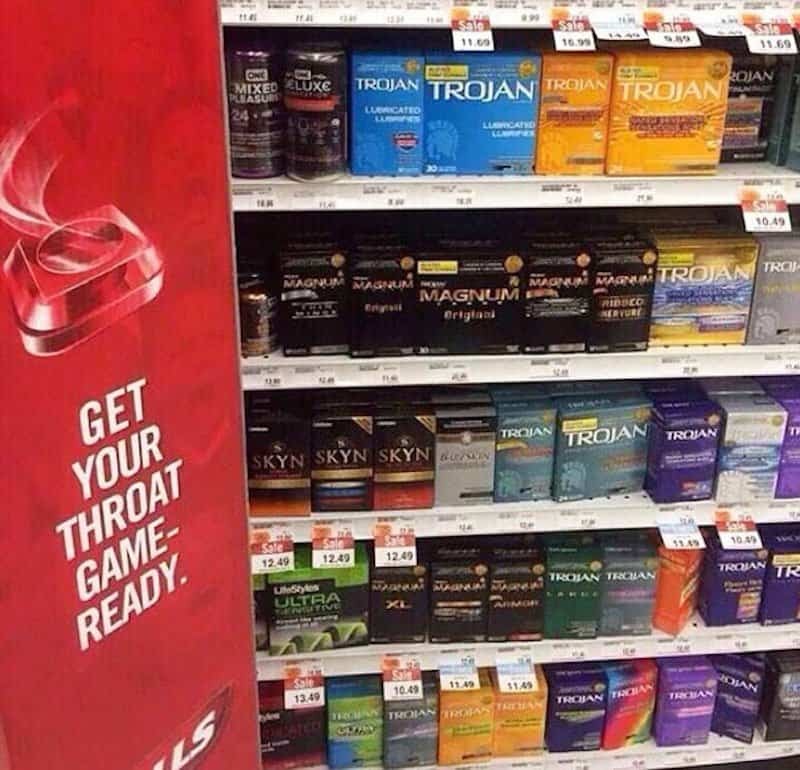 We’re not too sure who placed the lozenge ad next to the condom section, but it’s a bit suggestive, don’t you think? 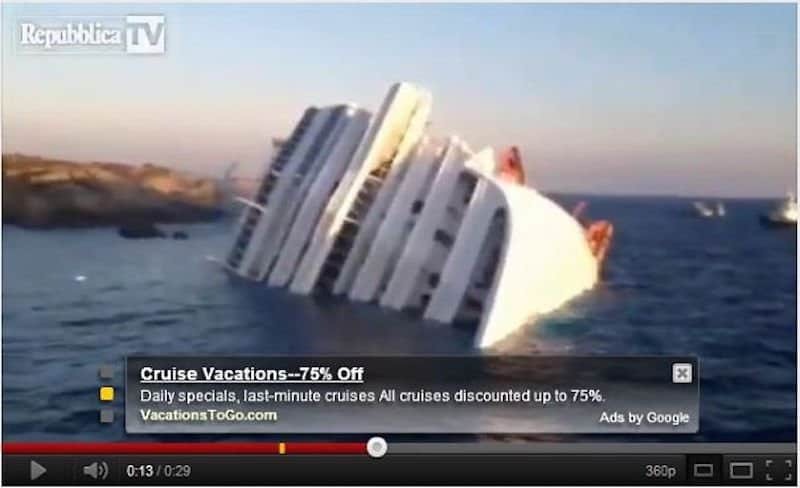 YouTube has some rather intrusive advertisements, including unskippable ones which we hate watching. We should pay more attention though, maybe we’d catch something like this? 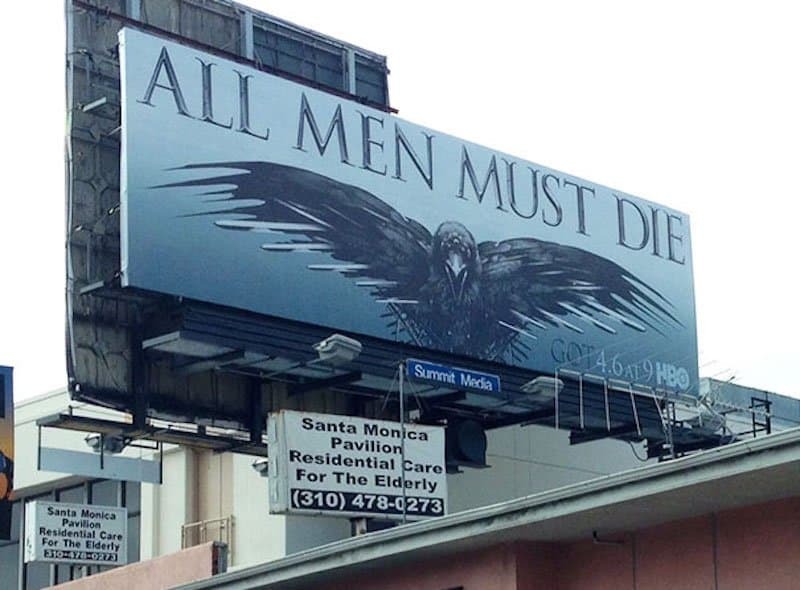 The Game Of Thrones advertisement right above Santa Monica’s residential care seems to suggest they’re not providing the care they advertise.